Fall yard clean ups are the last step to a healthy lawn throughout the fall. Assiniboine Lights & Landscapes provides residential fall clean up services to homes and acreages in Calgary and the surrounding areas including Elbow Valley, Springbank, Bearspaw and Heritage Pointe. 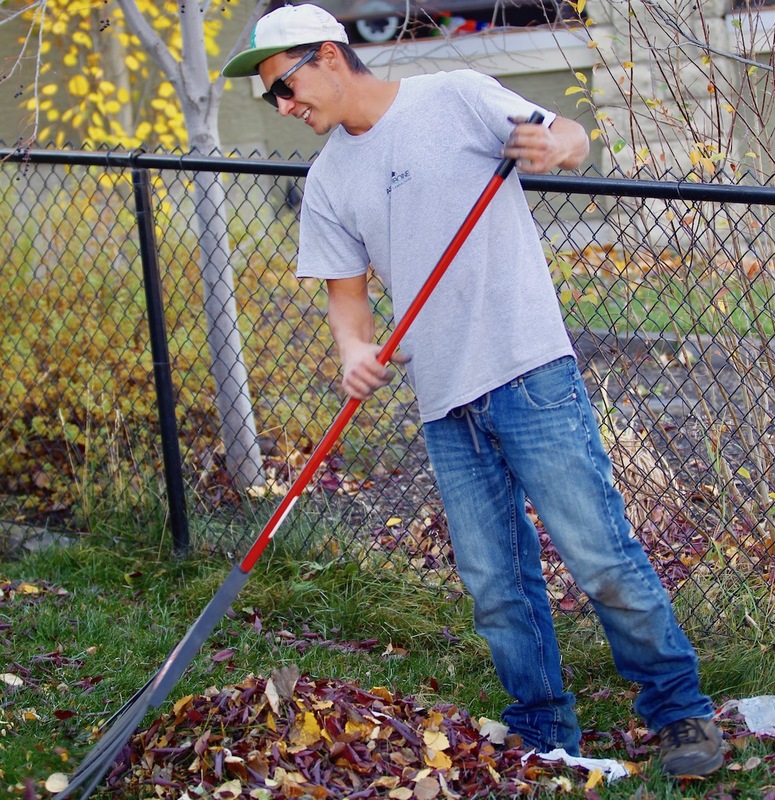 Fall yard cleanups are a one-time service to prepare your property for the winter and are completed when the weather permits. We want to be able to clean up the majority of your leaves, but before the snow files. Assiniboine also offers a full range of Property Maintenance Services. 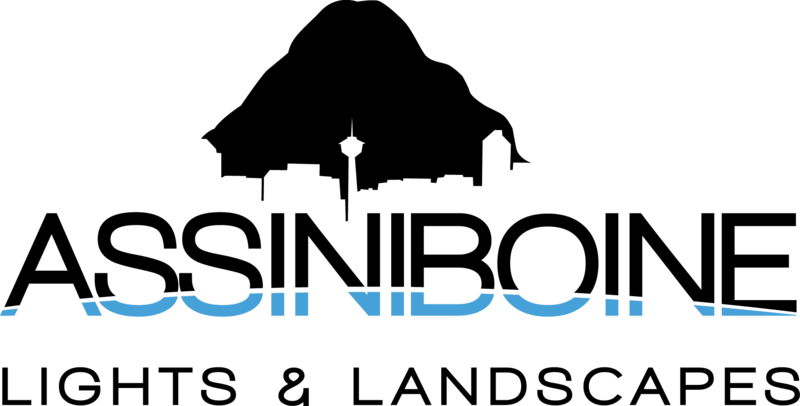 Book with your immediate neighbour for 10% Discount on your Fall Clean Up! In this first and visually defining step of any fall yard clean up, we blow, rake and remove all the leaf debris giving you a clean start to the fall and winter season. The lawn cutting allows us to clean up everything that has not been removed already, leaving the lawn perfectly manicured and ready so you can enjoy your outdoor space throughout the fall. Other than providing the ‘clean’ feeling, this last lawn cutting also helps to jump start your spring clean up to stimulate grass growth and greening of your yard. Core aerating is the process of punching holes in your lawn and removing small plugs of dirt (leaving them on top of the grass to add surface nutrients to the grass and aid in the decompression of the soil) to allow water and oxygen access to the grass roots. Lawn Aeration should be conducted every spring, although it can also be done in the fall. Reduces soil compaction – which results in levelling out your lawn, increases water, fertilizer and oxygen absorption, decreases puddling and improves drought tolerance. Healthier Grass – the overall result is greener, thicker grass that’s more resilient. Fertilizing is an important law care practice, as it influences grass color, ability to recover from stress and helps prevent weed invasions and disease. In Calgary we use a quality ‘time release’ granular fertilizer with controlled nitrogen release that feeds the lawn gradually over 2 months for a deep green color. Fall fertilizer application is not typically included in our fall clean up services but is highly recommended. It should be applied at the end of the fall clean up so your freshly cleaned lawn will thoroughly absorb it providing the needed nutrients. Weeds taking over your flowerbeds, or your flowers need to be deadheaded before winter? Let us help. Getting your beds clean up and weeded before winter makes an easier start to your gardening come spring time. Prices starting at $70/man hour. Our crews are able to prune and trim hedges, shrubs and trees under 7 ft tall. Prices starting at $70/man hour. The size of your lot. Do you have a large or small yard? Are you in a neigbourhood with mature trees? Does the property have steep inclines or hills? Is the property a a pie shaped or corner lot? *Prices are based on the entire yard size and will vary depending on the actual amount of lawn. Assiniboine crew member raking leaves into a pile as a part of the Fall Clean Up. Assiniboine also offers lawn care and property maintenance for Condos and Commercial Properties.